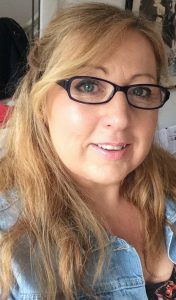 I am Karen and I live in Northern Ireland with my hubby and some very lively teens and twenties, not to mention three furry lunatics who all together keep me on my toes and young at heart. I love all things creative and have a passion for interiors, photography, crochet, knitting, sewing, designing, sticker making, cooking and baking to name but a few. I am an organiser, list maker, planner addict and hoarder of pretty notebooks. I love trying new crafts and sharing them with others and inspiring everyone around me to get creative too. Here you will find me sharing little snippets of my life and the things I find along the way that inspire me, motivate me and just generally brighten my day. There will be recipes, tutorials and freebies, as well as pretty pictures and home inspiration. Pull up a seat, grab a cuppa and join me.